Piqua’s Kenzi Anderson, clears a rebound between Tippecanoe’s Olivia Newbourn (22) and Mackenzie Smith (4). Tippecanoe’s Rachel Wildermuth shoots as Piqua’s Aubree Schrubb goes for a block. Piqua’s Tylah Yeomans scores as Tippecanoe’s Katie Salyer (34) looks on. Tippecanoe’s Ashleigh Mader drives the baseline against Karley Johns. Piqua’s Karley Johns puts up a shot against Tippecanoe Wednesday. Tippecanoe’s Katie Hemmelgarn grabs a rebound against Piqua Wednesday. Piqua’s Kelsey Bachman goes up for two points as Tippecanoe’s Jillian Brown looks on. It was matchup of two programs at the opposite end of the spectrum. Tippecanoe girls basketball goals annually include winning league titles and making deep runs in the postseason. Piqua is looking for its first winning season since 199-2000 under first-year coach Jon Dolph. 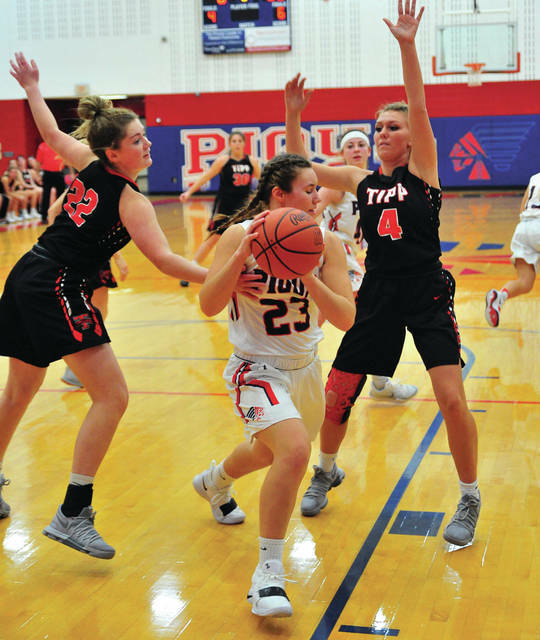 And while Piqua was off to a 3-1 start and Tipp is a young team after losing some key players, the difference was clear in the Red Devils 69-40 win Wednesday at Garbry Gymnasium. Tippecanoe is now 3-1 overall and 2-0 in GWOC American play, while Piqua is 3-2 and 0-2. Dolph was not discouraged by Wednesday’s game. Izzy Kidwell got Piqua off to a great start with a three on the Indians opening possession. But, it was the only lead Piqua would have. 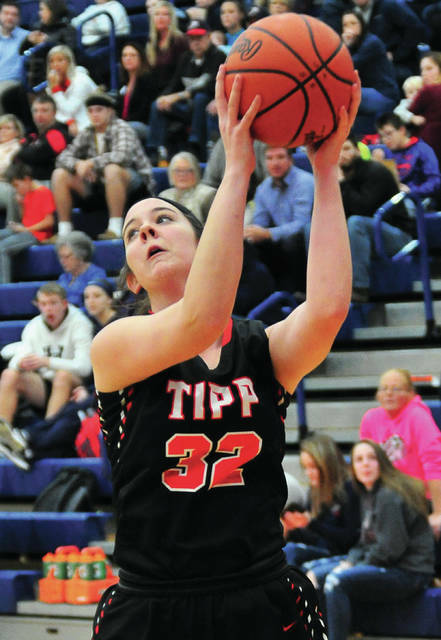 Three points by Kendall Clodfelter and a basket by Katie Salyer helped Tipp take a 5-3 lead. Piqua’s Tylah Yeomans scored to tie it 5-5, but Ashleigh Mader quickly answered with a three for Tipp. A basket by Jillian Brown and a three by Clodfelter made it 13-5 and Tippecanoe was on its way. The Red Devils opened the lead to 19-7 after one quarter and stretched it to 39-20 at the break. 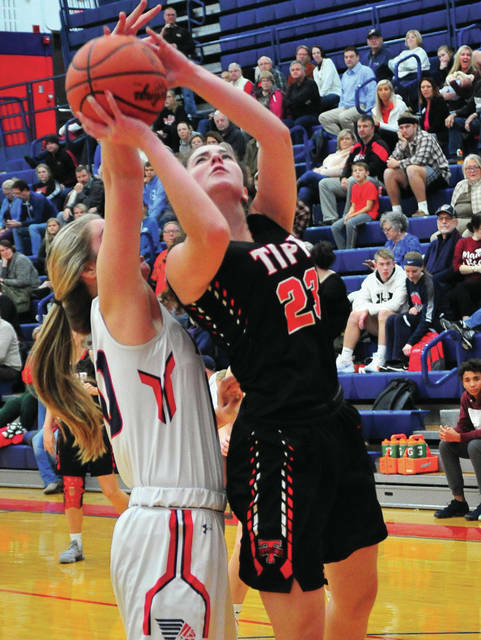 And two big keys were the Tipp defense and the Red Devils offensive rebounding, with Tipp often getting three and four shots. And Tipp, coming off a loss to Springboro, forced 14 Piqua turnovers in the opening half. 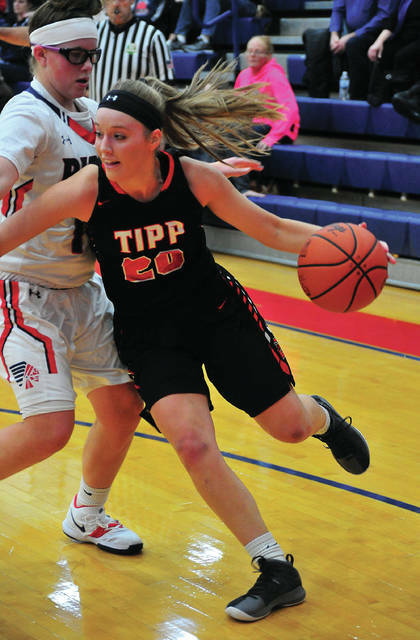 Tipp increased the lead to 61-26 after three quarters en route to the victory. Rachel Wildermuth paced a balanced attack with 15 points, while Clodfelter had 10 points and seven rebounds. Mader scored 10 points and Katie Hemmelgarn added eight points and nine rebounds, while Brown grabbed five rebounds. 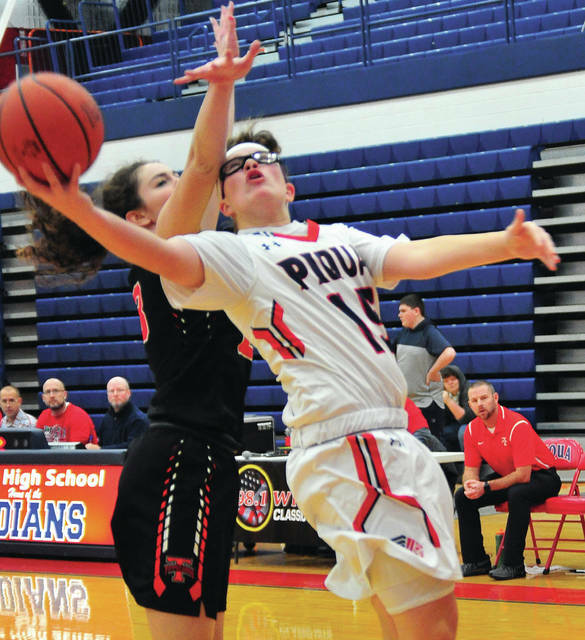 Yeomans paced Piqua with seven points. Aubree Schrubb had six points, six rebounds and two blocks, Kelsey Bachman scored six points and Karley Johns grabbed five rebounds. Tippecanoe was 27 of 65 from the floor for 41 percent and 10 of 15 from the line for 67 percent. Piqua was 15 of 43 from the floor for 35 percent and eight of 12 from the line for 67 percent. 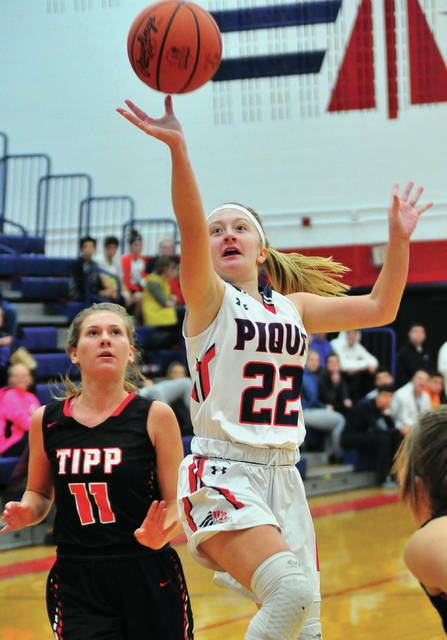 Tipp won the battle of the boards 37-26 and had 10 turnovers to Piqua’s 24. Tipp will host Greenville Wednesday, while Piqua travels to Xenia Saturday before hosting Fairlawn Monday. Jillian Brown 2-0-4, Brooke Aselage 2-1-5, Ashleigh Mader 4-0-10, Kendall Clodfelter 4-1-10, Katie Salyer 3-1-7, Mackenzie Smith 1-0-3, Rachel Wildermuth 4-7-15, Katie Hemmelgarn 4-0-8, Makayla Stallard 1-0-3, Olivia Newbourn 2-0-4. Totals: 27-10-69. Tylah Yeomans 2-3-7, Izzy Kidwell 1-0-3, Aubree Schrubb 3-0-6, Kelsey Bachman 3-0-6, Kenzi Anderson 1-2-4, Andrea Marrs 2-0-4, Karley Johns 2-0-5, Chloe Stewart 0-2-2, Hailey McPherson 1-0-2, Skylar Sloan 0-0-0, Reagan Toopes 0-1-1. Totals: 15-8-40. 3-point field goals — Tippecanoe: Mader (2), Clodfelter, Smith, Stallard. Records: Tippecanoe 3-1 (2-0), Piqua 3-2 (0-2). Reserve score: Tippecanoe 37, Piqua 26.